It’s not just strength that goes up in numbers. As it turns out, the quality of learning may also improve when taken on en masse. It’s no wonder more and more teachers are striving to create a collaborative learning space in the classroom! 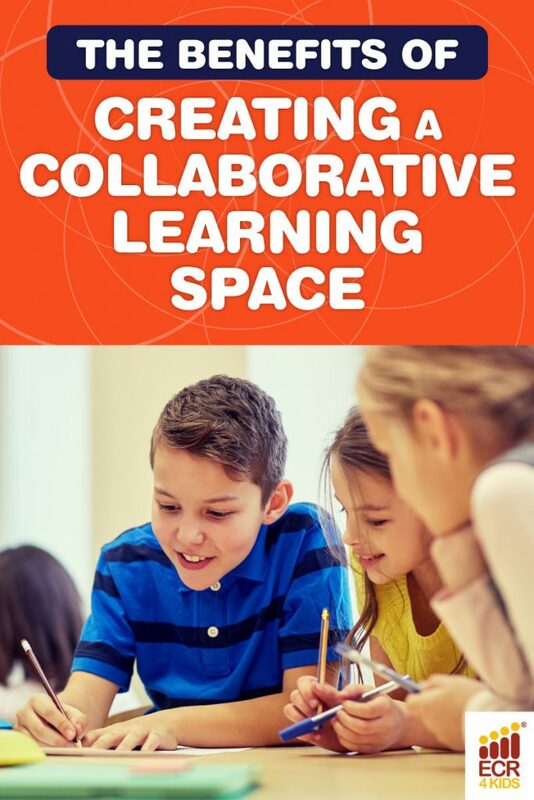 Collaborative learning is defined as “an educational approach to teaching and learning that involves groups of learners working together to solve a problem, complete a task, or create a product.” In other words, it’s all about turning the learning process into a group exercise! Yeah, all that just in return for telling kids to put their heads together! While college classes make frequent use of collaborative learning, the benefits are more impactful when students are in their developmental years. Okay, great—collaborative learning sounds awesome! But wouldn’t it be difficult to set up? In short, yes. Despite the benefits of collaborative learning, there are times when you want to put some space between your students. This leaves teachers with a lot of inelegant solutions. You can have two separate spaces in your classroom, move desks around, use dividers, and the list goes on. Luckily for teachers, collaborative learning is catching on. 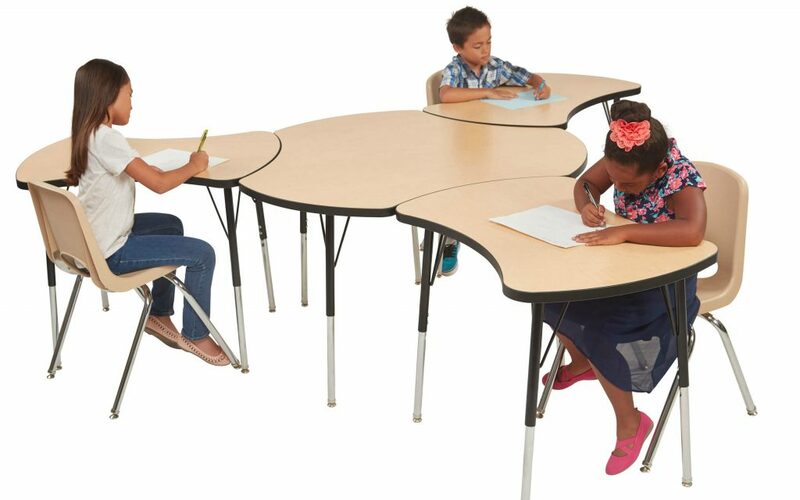 In an effort to make the classroom a more connected and dynamic space, ECR4Kids is coming out with a series of tables made specifically for collaboration! 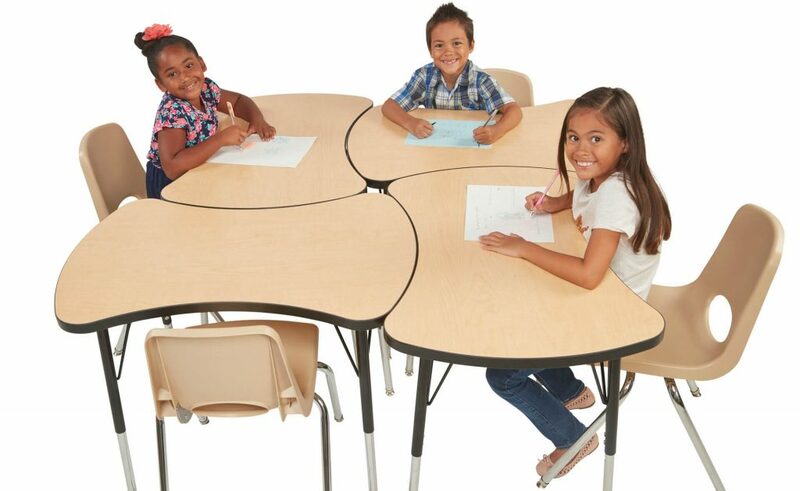 These modular pieces operate as individual surfaces, or fit together to create a larger table for group work. With four distinct table shapes, the combinations you can make are near endless! Collaborative learning is in higher demand and easier to pull off than ever! Interested in learning about more about it, or maybe getting some ideas for group exercises? This resource is a great place to start! Teachers, how are you incorporating collaborative learning into your classroom?? Let us know on Facebook or in the comments below! And don’t forget to follow ECR4Kids on Facebook, Pinterest, or our blog via email for more of these posts! ← GelWriter Sale: 50% Off September Special!